Happy Christmas, Kwanzaa, Chanukah, Solstice, whatever holiday(s) you choose to be celebrating this time of year. May we all learn to live together in peace, treating each other with kindness and dignity. That said, our card may need some explanation: Our daughter, Katie, is 16 this year and really loves science — physics in particular. 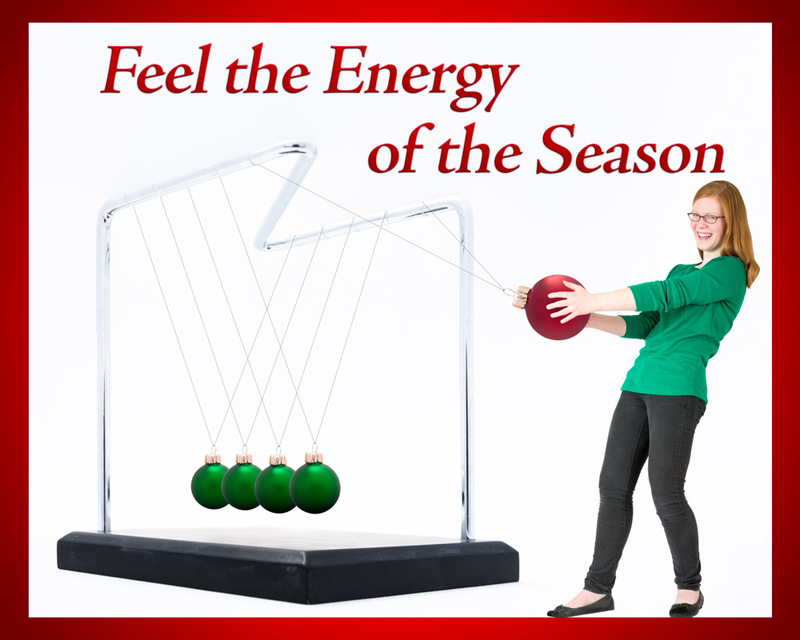 The object she’s pictured with is called a Newton’s cradle and demonstrates the physics principle of conservation of energy. My dad likes to say, “for every action, there is an equal and opposite reaction.” I think that’s pretty much the same idea. We’ve got one more card to do with Katie. We promised her she would be done when she finishes high school. She’s been a great sport these last 16 years. Thanks, Peanut. Merry Christmas, Happy Holidays to you as well. Thanks for sharing your photographs this year! Wishing you the many blessings of Christmas from the Denver area (born and raised in Miles City). Thanks, Annette! Great to hear from you. Thanks, Megan! Happy wishes back at you and yours.